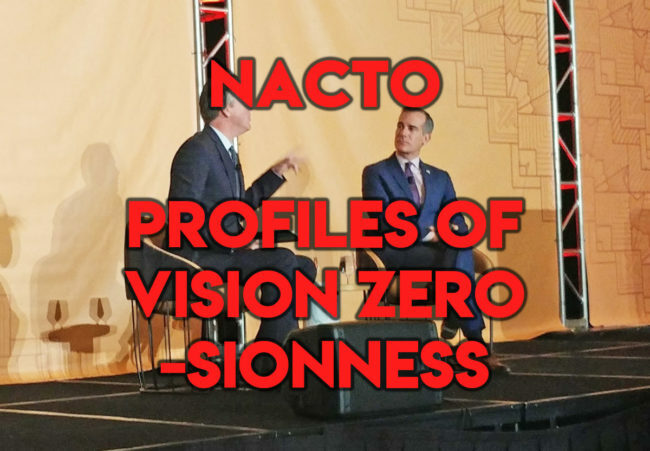 NACTO’s Designing Cities Conference came and went and at no point thereafter will I be able to sum it up properly. 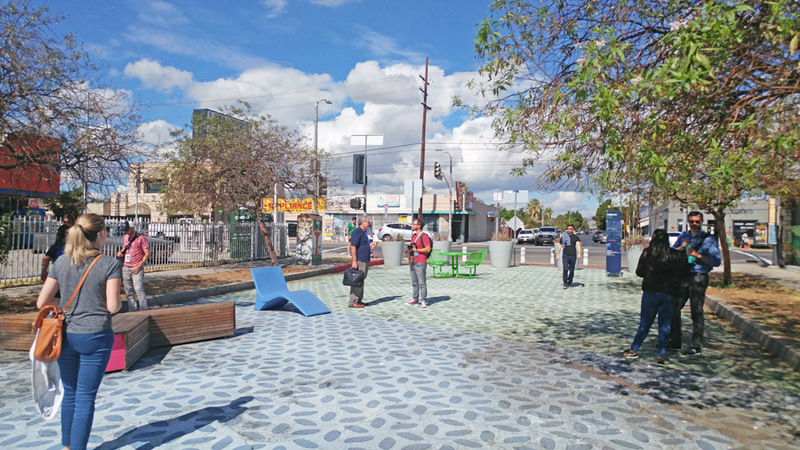 Even spending all four days attending walkshops, panels, plenaries and happy hours (plural), there was so much going on that getting the pulse of what Nacticianers thought of Los Angeles. I diversified my activities and met a wide range of constituents from across the country that left me feeling like I’m in good company. One of the healthiest takeaways was for the most part how much planners and advocates really care about making our cities better places for all of us. Still, there’s always those lingering sighs waiting to escape while talking about the frustrations of making our visions a reality. It was a pleasure having discussions with a variety of planners on our tour of Pacoima. The will of this group is there, but the spark to ignite this fervor is just outside our grasp. You don’t have to go any further than point to our elected leaders to find the source of this resistance. Like most other issues in politics, there’s a divide in the population over how to purpose our streets. The evidence shows lane reductions and bike lanes improve safety and mobility, but try to ween traffic off of freeway speeds or take away parking and drivers just lose their S.
Ultimately, it’s the politicians that have the power of implementing these changes or continue bending to pressure while keeping fatalities at an obscene level. Vision Zero was a significant initiative launched by Mayor Garcetti in 2015 to bring deaths on our roadways down to zero by 2025. To say the results are mixed is a kind way of putting it, as the the 3% reduction in traffic fatalities by the end of 2017 is woefully short of the initial goal of 20%. To tout significant progress is being made takes some wordsmithing, but nonetheless Garcetti spoke to the conventioneers championing the progress being made. There’s some pretty strong words in there stressing the importance of street safety. Mind you, these three only represent 20% of LA City Council and their views do not represent a good portion of their colleagues. Debating which one of these speakers have made a greater commitment in Vision Zero in the real world is another discussion to be had, but at least they’re saying what you want out of a leader. It’s pretty easy to dissect this video and say his dedication towards Vision Zero is as cloudy as that city Lando Calrissian is from. For me, hearing “our reach must extend beyond our grasp” didn’t inspire me to think we were going all the way. Imagine if this was language was replaced for school shootings. Would you ever accept that we aren’t doing all we can to stop them? Last night, I placed another ghost bike in Sun Valley. Sadly as part of this exercise, I’m collecting others for when the time comes. I wish I was encouraged otherwise.